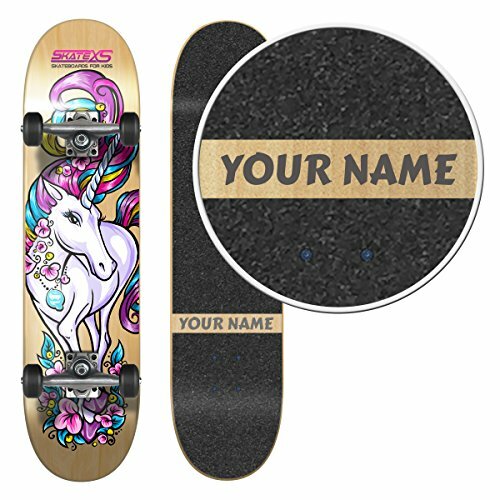 The Personalized SkateXS Beginner Unicorn Street has been designed with skate shop quality components ideal for younger skaters. Plus it features your skater's name, right on the board itself! Their name label is protected by a translucent strip of clear grip tape providing personalization and full grip coverage at the same time. This is a high quality setup which provides boys and girls with a board that can take them from their very first pushes to the most advanced tricks and obstacles throughout the skatepark! We've sized our decks specifically for younger skaters to make them easier to balance and maneuver. Kids can learn to skate more safely and are able to advance their skills more quickly on properly sized skateboards. The SkateXS bamboo deck offers light weight, durability and board pop all while being sustainable and environmentally friendly. 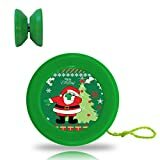 It is a great choice for children and a great choice for the planet. SkateXS brand board are absolutely real skateboards that meet or exceed the quality of boards that are found in traditional skateparks and skated in competitions such as the X-Games. Our Beginner Street Complete is professionally assembled by hand per order and comes ready to skate out of the box with the following components: - SkateXS Bamboo Performance Skateboard Deck - Polished Performance Trucks - Abec 7 Bearings - 53mm 90A Wheels - Jessup Grip Tape. Start your kids off right with a SkateXS Skateboard!